Versatile - Solar C can be mounted above or in front of windows and, as with all Colt solar shading systems, the louvres can also be mounted around corners and curves. This, combined with the various angles at which the system can be installed, ensures that the shade created is always optimal. The versatility of the system, with respect to dimensions and colours, offers many design alternatives. High light transmission, low heat transmission - Unlike conventional 'Z' shaped blades, which reduce both direct and diffused light, the Solar C blade is designed to be particularly effective at controlling solar heat gain while allowing a large proportion of diffused light through the blade. Potential to reduce installation time – Alternatively Solar C can be provided in modular pre-assembled form and also as a panellised system. 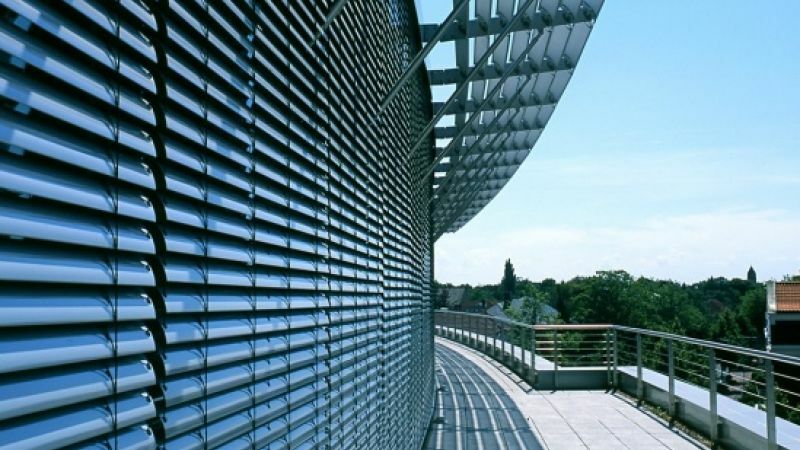 With continuous brise soleil louvres, the louvres are sent out in breakdown for on-site assembly, unless it is supplied in modular pre-assembled or panellised form. 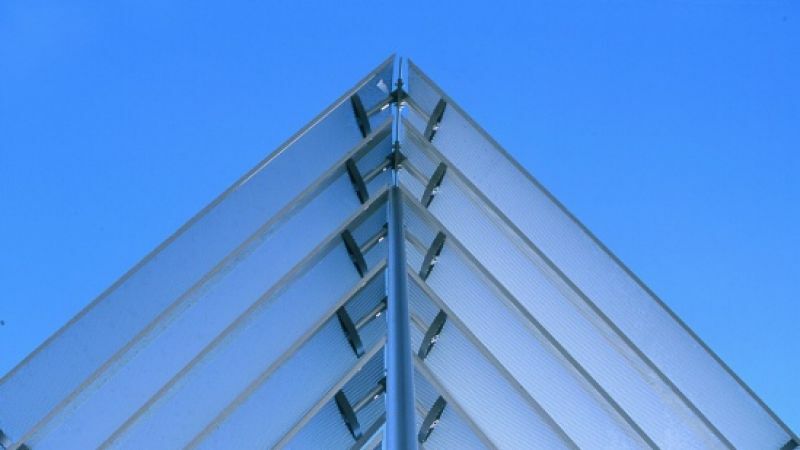 An adjustment in the louvre system can accommodate building tolerances of +/- 10mm. Particular attention is required to suitable fixing locations and the structural integrity of the fixing material. This should be considered at the early stages of the project. We also offer complete project management and installation, which means that we take complete responsibility to ensure that the product is in full working order within one package of works. Please contact us for more information relating to the application, specification or installation of Solar C.
Fixed aluminium C-section brise soleil solar shading system developed to reduce glare and overheating.